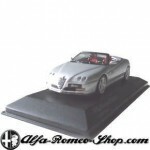 Minichamps’ 1:43 scale model of the Alfa Romeo 8C Competizione featuring ‘the Stig’ is now on sale! 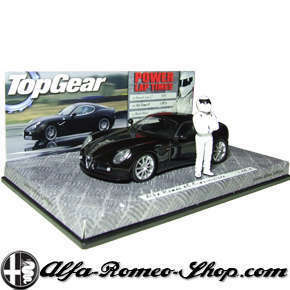 We offer a € 10,– discount on this great scale model while stock last. 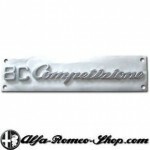 Check it out in our Alfa Romeo shop! where you can also watch the videoclip of the Top Gear test and Stigs powerlap with the black 8C Competizione. SKU: 6. Category: 8C. Tags: 1:43, 8C, Competizione, Minichamps, Stig. Alfa Romeo 8C Competizione with the Stig by Minichamps, scale 1:43.